Bring on the summer with casual entertaining on the deck, by the pool. or even on the beach! I love enjoying the long, warm evenings visiting with friends, nibbling a little food, sipping a little drink. 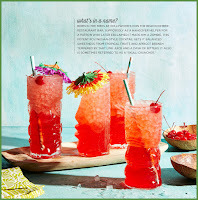 Coastal Living's Beach Cocktails (Oxmoor House, 2017), has been published just in time to enliven summer fun. Its beautiful photos, matte finish, and tasty variety of recipes also make this a great Mother's Day gift. I love cookbooks that have stories to tell, and Beach Cocktails gives us the low-down on tiki bars, tells us the origins of famous drinks, helps us make our own mixers, and advises us on equipment and glassware. It's a pleasure just to flip through the book, looking at the photos of beaches and of beautifully garnished drinks. The cocktails themselves run the full range. Beach Cocktails includes classic Manhattans and martinis, old favorites like margaritas and pina coladas, and newer drinks like Indian Summer (bourbon based) and Christopher Robin (vodka based). Never mixed a drink? No worries. 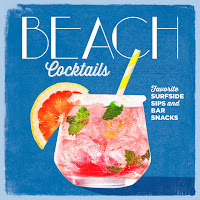 The recipes in Beach Cocktails don't require a degree in mixology; they're all easy to put together. You aren't a drinker? Again, relax. There's a whole chapter on mocktails with fruit-based drinks in beautiful summer colors with grownup flavors and garnishes. Try a Florida spritzer (grapefruit juice based) or a mango smoothie. All the non-alcoholic drinks look like the perfect refresher for a hot afternoon. Of course, if you're drinking, you'll probably want to do a little snacking. Fortunately, Beach Cocktails includes a handful of tiki bar munchies. The variety of salsas are easy to make as are the Maine crab cakes. 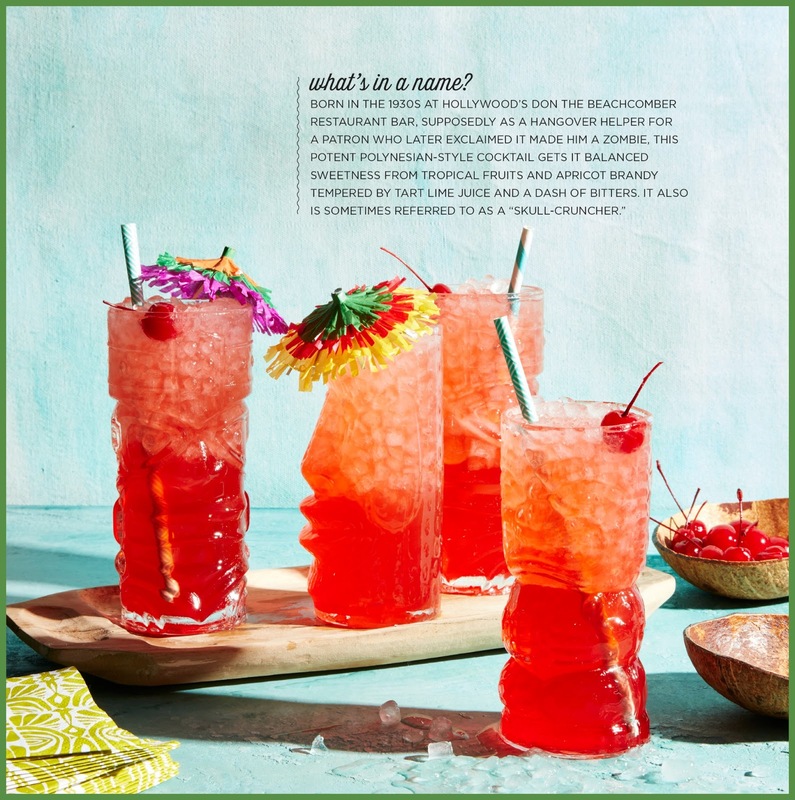 One of the great features of the book are the recipes for mixers: flavored syrups, grenadine, bitters, sour mixes, and more. Homemade is almost always better than a bottled mix, and most of us welcome having the chance to leave out the preservatives and other unwanted ingredients. 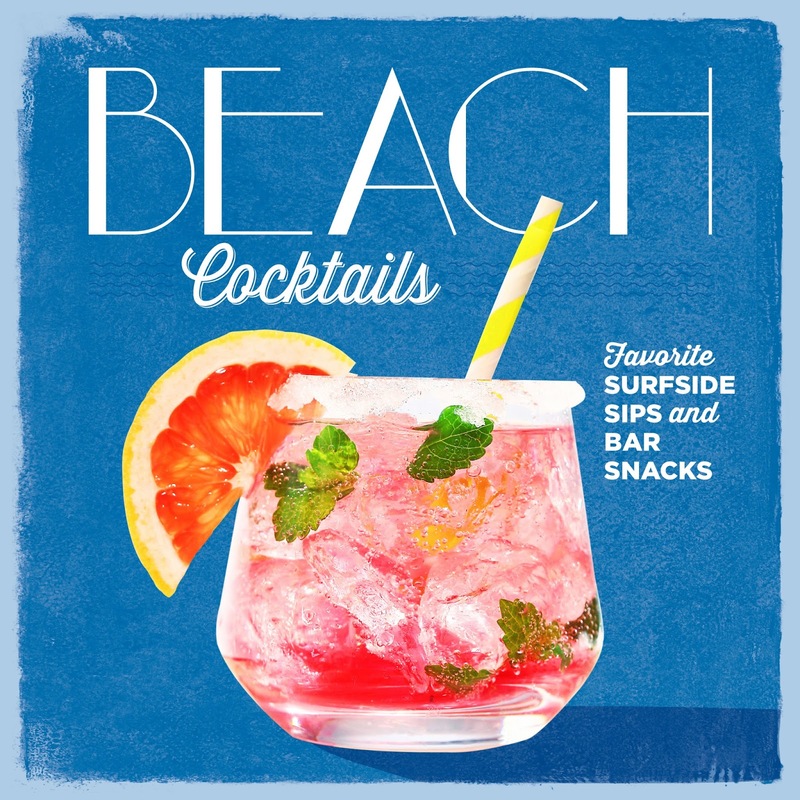 Coastal Living's Beach Cocktails is the single-resource book to slip into your bag before your beach or resort vacation. Kicking back and relaxing in the summer sun and surf--whether you're partial to rum drinks, champagne, or fruit, you'll find cocktails or mocktails to suit your taste. You might even be inspired to make glazed chicken wings to get you through the cocktail hour. Because today is Kentucky Derby Day, here's the drink I'm making tonight. You'll find it on page 222 of Beach Cocktails. Combine the first three ingredients in a 2-quart pitcher. Crush with a spoon until mint is bruised. Stir in the bourbon and tea. Serve over ice. Garnish as desired. Thanks to Time-Life Books for the review copy; all thoughts given here are entirely my own. Mixed drinks are amusing to read about -- I follow one blogger who often features a classic or newer drink, with history and recipe. In my actual drinking life, though, I always find myself more tempted by wine than by a cocktail. Fun to read your review, though. I don't drink but I still love this type of book. Thanks for sharing it with us. I, too, tend to wine or beer. But I do like a traditional cocktail like a Rob Roy or a Bloody Caesar! However, I totally steer clear of anything with anything sweet in them! I'm heading to the beach a week from today - I need to pick up a copy of this for the condo! Great review. I love Coastal Living magazine and its recipes and this book looks like it would be a fabulous addition to my my cocktail book collection. I'm with Mae, mostly have a glass of wine or occasionally sherry, but every once in a while, like last night, mix up a cocktail, and for that it's great to have a handy guidebook. I write in new ones on any blank spaces. OOPS! I somehow posted an old link before I had a chance to enter the new one. Sorry! My pasta link is from a while back. I'm in Florida now, I definitely want to get this one. I'm sorry I haven't been around for weekend cooking. Just very busy these days. Happy Summer to you too! 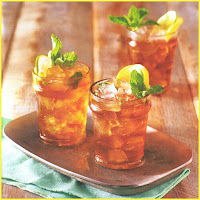 I'm copying the recipe for Mint Julep Iced Tea. I missed it for Derby Day, but I'm going to save it for Memorial Day. Thanks for sharing. 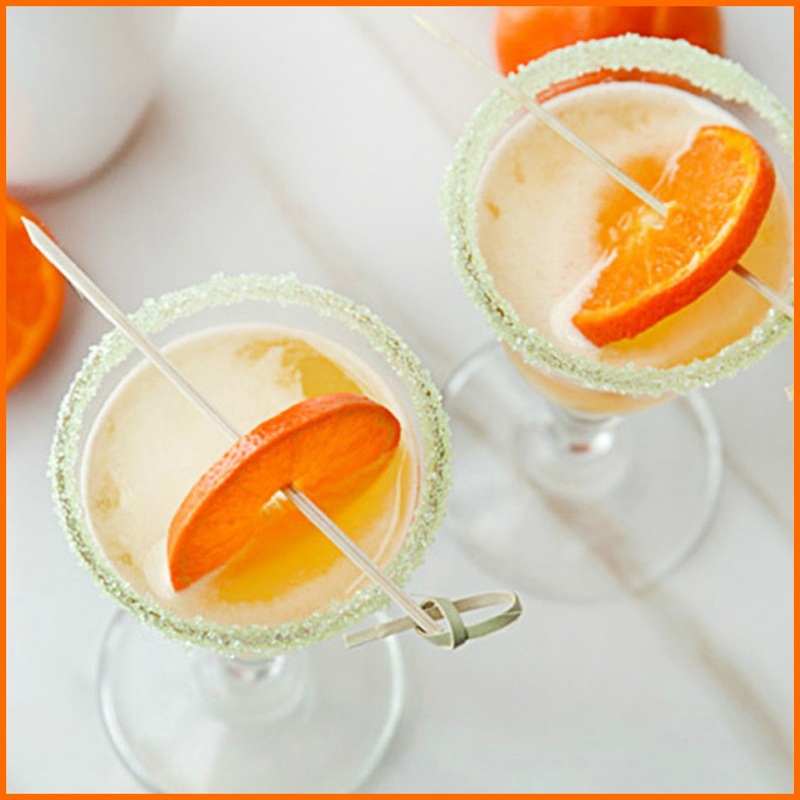 How fun-new cocktails for hot summer days. Have a good day.